Regardless of the child’s scores, it’s important to ask parents about their concerns. “When parents complete the ASQ®, it’s like checking a child’s temperature,” explains Kimberly Murphy, a research assistant at the University of Oregon. Ms. Murphy coordinates several studies for the authors of ASQ®-3 and ASQ®:SE and speaks often with parents. That’s the point when parents depend on experts like you—to provide best-practice-based guidance on the next step, whether it be a referral or another follow-up approach. After scoring a child’s ASQ-3 or ASQ:SE questionnaire, it’s time to assess the Information Summary sheet to determine whether the scores in each area are above, below, or close to the cutoff. The following general cutoff criteria give a framework for making referral decisions, but should be considered along with other factors, as well as your program’s established referral processes. Additional detail can be found in Chapter 6 of the ASQ-3 User’s Guide and chapter 4 of the ASQ:SE User’s Guide. Scores well above the cutoff: These kids are considered to be “typically developing” and require no further assessment. However you may opt to rescreen at 4- to 6-month intervals and recommend appropriate developmental activities, depending on the situation and parent concerns. Scores close to the cutoff: This is the “monitoring zone.” You may want to rescreen at a shorter set interval (e.g., 1–2 months) or even refer if several of the child’s scores are in the lower end of this gray area, close to the cutoff. In all cases, suggest that parents engage in developmental learning activities that target the area(s) of concern. Scores below the cutoff: Scores on or below the cutoff in one or more areas indicate a need for further assessment. The ASQ results should be shared with the child’s parents, along with information about referral options. Before making a referral, it is important to consider whether factors, such as health and biological factors, cultural factors, or environmental factors, affected the results. Scores above the cutoff: The reverse of ASQ-3, scores above the cutoff in ASQ:SE indicate a problem. You may refer for diagnostic social-emotional or mental health assessment or provide parents with information and support and monitor the child through rescreening. Scores close to the cutoff: These scores may indicate a problem. Your program may want to designate your own “questionable” range and account for any substantial parental concerns. Possible actions may include referring for diagnostic social-emotional assessment or providing information, support, and continued monitoring. Scores below the cutoff: These indicate there is no problem. You may still want to rescreen over time and provide parents information and support if they need it. If you still have concerns, administering ASQ:SE with another caregiver or using a professionally administered tool may be appropriate. What are some best practices for determining follow-up? Regardless of which screening tool you use, here are a few basic best practices that will help you make confident follow-up decisions. Of course, these are to be considered along with the recommended cutoff and referral criteria. Look at the big picture. Results are never “black and white.” It’s important to understand how the environment, development, health, and family/cultural factors may have influenced a child’s score. Big-picture consideration is very helpful when scores are near a cutoff point. Address all parent concerns. If a parent reports a concern during conversation or on the questionnaire—even if it isn’t reflected in the scores—take appropriate follow-up action, whether it be providing information or a referral. For guidance, see Table 6.3 from the ASQ-3 User’s Guide or page 45 in the ASQ:SE User’s Guide. Screen and rescreen. If a child is near a cutoff area, or you suspect outside factors affected a child’s score, rescreen in a few months to look for growth or changes before referring. Use your professional judgment. If screening results do not validate your concerns, seek out alternative ways to identify delays and provide services. 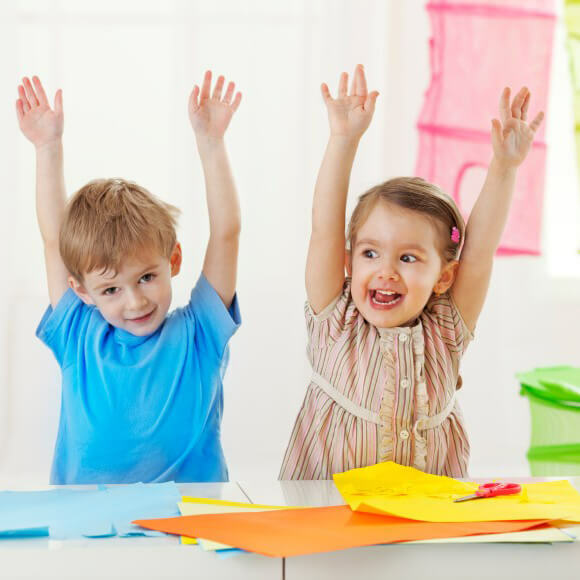 Alternatively, if you suspect a score indicates a problem that isn’t there, don’t hesitate to investigate the factors that may have led a parent to interpret their child’s behavior or development differently. When discussing with parents a subject as delicate as their child’s developmental or mental well-being, it’s best to be positive and strategic. Dr. Jennings is with the Florida Office of Early Learning. She’s also a researcher seeking to understand what factors in the screening process lead to completed referrals. Her office has established best practices for follow-up with families, which they share at professional conferences and with the 30 early learning coalitions that administer the state’s screening programs. Dr. Jennings stresses that with every family discussion, even if the child’s scores don’t indicate a problem, it’s important to ask parents about their concerns. What have they or others noticed and what have they done about it? What are some best practices for sharing results with parents? Share results in person, by phone, or in writing (paper or email) in a family-friendly tone. Highlight child strengths first and then any areas of concern. Provide parents with ideas for games and activities to support their child’s needs and interests. Tell them when another screen will be administered. Review the purpose of screening. Expect questions even with typical results. Make them feel as part of the team. Take a peek at the Florida Office of Early Learning’s developmental screening process, and learn from their tried-and-true best practices. When a child’s ASQ-3 or ASQ:SE scores suggest the need for further assessment or intervention, program personnel should prepare in advance for the family discussion and conduct it with compassion and empathy. In these cases, results and next steps should always be discussed in person or over the phone—never via mail or email—and in a private, confidential setting. While there are certainly best practices for discussing referrals, be sure that the parents are truly informing and directing the process. With your professional guidance, parents should decide what and when specific follow-up actions should be taken. Then you should adjust the type of assistance offered based on the family’s unique resources and needs. You can also help ease their minds by providing more than just a referral. Recommend some learning activities they can do at home, or give them additional information by way of articles or pamphlets. What are some best practices for referring a child for further assessment? Find a private setting to talk with parents confidentially. Ask family about their concerns about their child. Review results using terms related to cutoff scores. Discuss influencing factors such as health, language, or environment. Explain that screening does not assess or diagnose their child. Provide specific, non-judgmental examples of the concerns noted. Emphasize parents’ skills and resources to work with their child. Provide information about referral services and options. Determine if parents will contact the referral or if they prefer you take the initiative. The next steps you take after ASQ screening can have a profound impact on both short- and long-term child outcomes. Use the practical tips in this article as a helpful guide during your post-screening process. And for more on determining follow-up steps, sharing results with parents, and navigating referrals successfully, turn to the helpful information in the user’s guides for ASQ-3 and ASQ:SE. How effectively and empathetically we manage the post-screening process may affect whether children ever receive the early intervention or additional assessments they need.